Smashed my Anthropology exam! Nap time. 05 Oct 11 copy & paste +upvote -downvote Smashed my Anthropology exam!  Nap time. @amirahhnabila Aww you've always helping me alot and be by my side. I'll try & myself. Thanks hunny bunny fr always being there for me. Downloading apple October special event keynote from iTunes. @ArianaGrande what is your favorite song to sing?? RT @myra_norriahe: sssoooo ready to graduate. @billysghosthunt I received my ear buds today, thank you very much!! @breeeendaOng it's an app called emoji! get it! 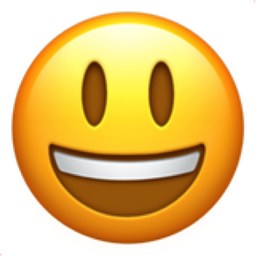 Like Smiling Face with Open Mouth Chronological Emojitweets 7? Smileys & People Category: The Emoticon Category! Smileys, faces, person bowing deeply, man with red face, hearts, hand gestures. Happy. Previous category name: Smileys. View the gallery.